Cutting | Thinking is the enemy. So I’m getting close to finishing the first draft of my WIP, and my thoughts are turning to revision. With the first book I actually finished (thanks to Holly Lisle’s How To Think Sideways course), I used Holly’s one-pass manuscript revision technique. It worked fine, but I was probably not as ruthless as I should have been — with the result that it became more like a first-pass revision. I just saw some good basic advice on revision at Ali Luke’s Aliventures blog: Start with entire scenes, and work your way down to paragraphs, sentences, and then phrases and individual words. Starting big definitely saves time — why obsess over diction when you might cut the whole scene anyway? My goal this time is to combine the two approaches. 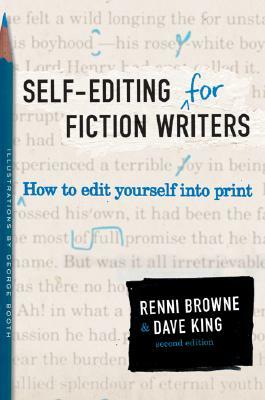 But before I start, my plan is to put the ms. away for a while and read Self-Editing for Fiction Writers by Renni Browne and Dave King. I’ve lost count of the published authors who have recommended it to me, and I finally picked it up at a conference a couple months ago. I’ll let you know how it goes. This entry was posted in Writing and tagged editing, holly lisle, revision, writing. Bookmark the permalink.